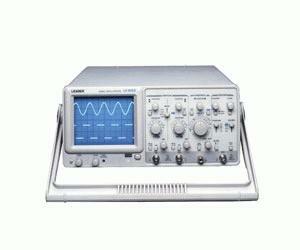 The Leader LS8022 20-MHz 2-Channel Oscilloscope is an economical choice for high stability and reliability. The oscilloscope is equipped with a variety of helpful functions (TV sync separator, variable holdoff, X-Y display mode) which makes this oscilloscope an ideal choice for production, field service and educational applications. The LS 8022 also conforms to International Standards for EMI, EMS and Safety.